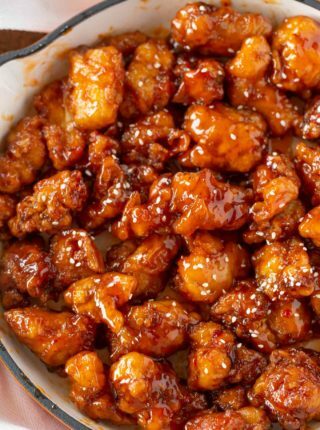 General Tso’s Chicken was one of my favorite college days late night Chinese food delivery orders. 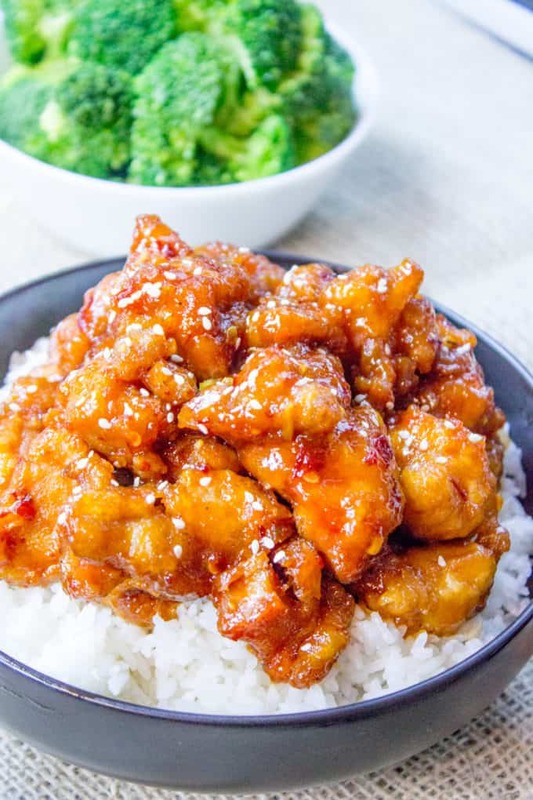 The spicier, zestier less popular cousin to the ever popular Orange Chicken, General Tso’s Chicken is a fantastic option when you’re looking to change up your Chinese food routine. 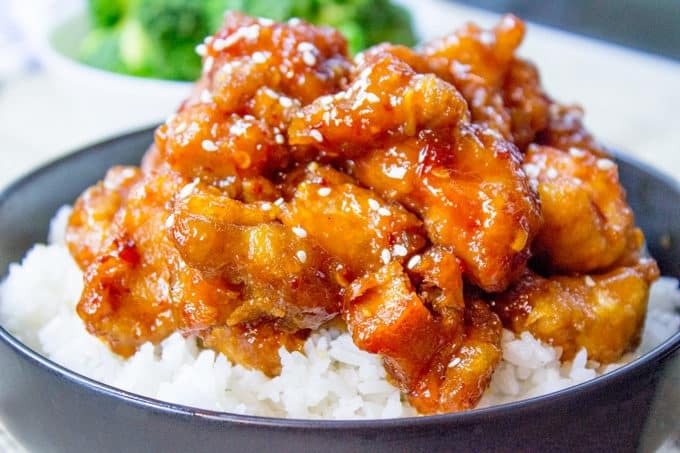 General Tso’s Chicken can sometimes have recipes that are really complicated and with many different breading steps. I eliminated them going to a simple cornstarch coating, but you can definitely do a thicker typical breading if you would like, like I did in my Orange Chicken recipe. 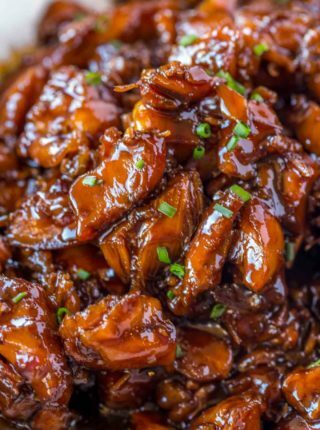 Also, the addition of the hoisin sauce may seem small and you may want to skip it because it isn’t a normal pantry item unless you are used to doing Asian cooking, but the flavor is that specific General Tso’s Chicken flavor that you’ll miss without it. 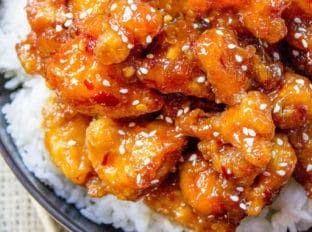 Looking for some other Chinese food takeout options for dinner? 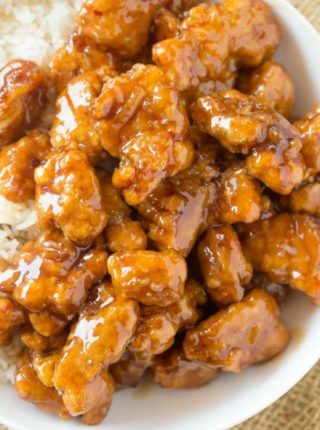 Well aside from the long list of Panda Express menu items on the site, here is a list of delicious meals waiting to be made! It can be tempting to swap out items, like white wine vinegar for rice vinegar. Every time you make a substitution it is going to taste less like what you remember ordering out. Rice vinegar is a pretty inexpensive vinegar in the grocery store and an amazing flavor boost for salads as well as many Asian recipes. You won’t regret the purchase. Hoisin sauce is one of my favorite (and I really mean favorite) Asian pantry item. It has an awesome depth of flavor and is sometimes referred to as Asian BBQ sauce. You’ll immediately recognize the flavor when you try it and the one bottle will make many delicious dishes. Don’t skip it. Sesame seeds, you may see me using them as a garnish on a lot of my Asian dishes, this is because presentation counts. I know you probably think “oh man I’m just tired and ready to eat the second I am done cooking” but believe me when I tell you that a little sprinkling of sesame seeds, chopped chives or even red chili pepper will instantly add flair to your meal. 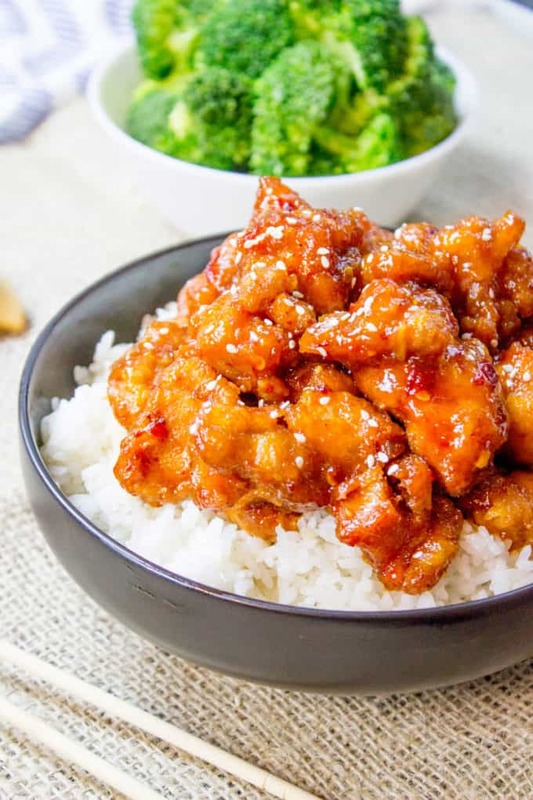 General Tso's Chicken is a favorite Chinese food takeout choice that is sweet and slightly spicy with a kick from garlic and ginger. 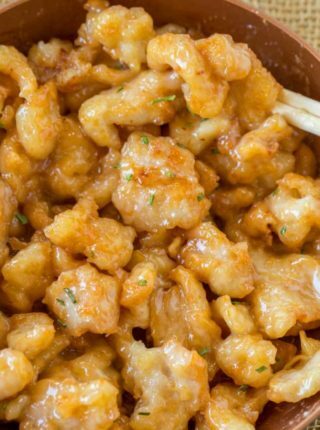 Toss the chicken thighs with the quarter cup of cornstarch and let sit while you mix the sauce ingredients. Add the rice vinegar, soy sauce, hoisin sauce, water, sugar and tablespoon of cornstarch in a small bowl and whisk together. Add the chicken to a pan with the oil and fry until crispy. Remove chicken from the pan and drain all but a tablespoon of the oil and add the chili flakes, ginger and garlic. Cook until you smell the garlic (about 30 seconds). Add in the chicken and toss, then add in the sauce. Stir for about 30 seconds until thickened. Sorry I forgot the stars. I cooked this and used an already made sauce but it worked so good, my on asked me after the first spoon if I made enough for him to have another serve. Really delicious and thank you for this simple but yet delicious dish. It made a quality time evening for my teenage son and myself. Opera on the menu with dark chocolate for dessert, we were blessed. Best. Can this be air fried? It sounds really great, but I don’t fry foods because they are bad for my health. I’ve not tested it so I’m not sure. If you decide to try, I’d love to know how it turns out. Thanks! Can I substitute ground ginger for minced? In a pinch, it would work but you’ll only want to add about 1/4 teaspoon since it’s more concentrated than fresh. Enjoy! I’m not sure if I’m understanding you but the chicken gets tossed with the 1/4 cup of cornstarch and 1 tablespoon of cornstarch is whisked together with the other sauce ingredients. Hopes this helps. I tried this twice last night. Both times when I put the corn starch in, it immediately started smelling like ammonia. It was horrible. What did I do wrong? Oh weird. I’ve never had that happen but the only thing I can think of is maybe your cornstarch needs to be replaced. I know it has an almost indefinite shelf life but maybe it’s time to replace it. Hope this helps. This was absolutely amazing! Your suggestion to use chicken thighs is spot-on. They get really crispy with the cornstarch coating and the sauce is to die for. I followed the recipe to the letter and added lots of lightly steamed broccoli when I added the sauce to the chicken. I served it with jasmine rice to rave reviews. Thank you, well done! Easy and excellent recipe. I add salt and pepper to the cornstarch to coat the chicken then fry it but then I have a big problem. My family starts eating these delicious chicken nuggets before I can get them back into the pan. I add 1 TBS less rice vinegar (and sub it with mirin) since I think 3 TBS makes it too sour. Since there is so much sauce in this recipe, I mix a good bit of steamed broccoli in with the chicken at the end and there’s still more than enough to coat everything. Made this in the wok with some rice and it came out delicious. Used cubes chicken breast and red pepper flakes instead of chili flakes. Definitely a keeper! Made this tonight. Per the comments I used half the rice vinegar. I also used quite a bit more pepper than recommended to make it spicier. Omg soooooo good! Saved for later. Will definitely make again! Thanks! So glad you enjoyed it, Valorie! Yay! Thank you for the review, so glad to hear it! Hi! I have to say, as a beginner, I didn’t expect this recipe to be as easy as you stated, but by the time I was done, it was almost exactly like the original (I didn’t end up using sesame seeds, and had to add more cornstarch to the sauce at the end, but I did use sesame oil while cooking and it turned out great). My sauce was kinda watery, so that’s why I had to add the cornstarch. I did want to add that I used white wine vinegar, and it was bitter, so I might try to cut that in half next time or use the actual ingredients. All in all, the recipe was so good that my sister actually wanted to try some of the food. Thumbs up from both of us!!! Definitely will try again. Thank you SO much for this recipe :D.
I’m so glad you decided to give it a try, Sarah. Thanks so much for the 5 stars. I feel like there’s already so much flavor in the dish that it’s not needed but you can add any additional seasoning you’d like. Lots of comments of how good it looks but no reviews if any one tasted it. Easy to make, but way too much vinegar taste. Made exactly as described above. Looks delicious but doesn’t taste the same way. Won’t be trying this again. MMM, I love this recipe. I’ve ended up substituting the chicken for pork chops, simply because chicken is so expensive recently, but I can say that even with pork this taste delectable. Its so easy to make that its become one of my go-to’s when I cook for myself. thank you very much! Am trying the recipe tonight and can’t wait…it looks delish! Just wondering about the sesame seeds. I know you mentioned them just as a garnish, should I toast them first? I didn’t but you definitely could. Enjoy! Followed the recipe as is, and it is fantastic! Thanks for sharing this recipe! I’m a little frustrated with your recipe because you didn’t detail what heat to have the pan on to fry up the chicken. I’ve never fried chicken ever before and I really want to make this recipe but I literally don’t know how much oil to use because you didn’t add that information in here and I don’t know what heat my pan should be at. Please help! I’m so sorry you’re frustrated…let me help to clarify. You want your oil to heat up to 350 degrees. If you want your chicken to be light and crispy, you’ll want to have your chicken floating in oil, usually around 3 inches deep. Hope this helps and that you enjoy it! OMFG this is better than the General Tso’s bought in any chinese food restaurant that I have tried ever!!! Amazing taste and texture…I will never eat chinese food from a chinese food restaurant again!!! Thanks so much for this amazing recipe!!! What kind of oil do you use to fry the chicken? And is it the kind of frying where you fully submerge the chicken or just a little bit of oil? I use canola oil to fry the chicken. You want to use enough oil that the chicken and batter don’t touch the bottom of the pan to ensure it stays light and crispy. I put enough in to allow the chicken to float, I’d say about 3 inches deep. Hope this helps! We love this recipe so much! It’s simple and turns out amazing. I’m allergic to wheat and corn, so we substitute for gluten free soy sauce and hoisin and use arrowroot starch instead of corn starch. Thanks for your substitution recommendations! So glad you loved it! i just tried your recipe today and it tasted great, but i – as a cooking beginner – have one little question: beside it still tasting great my chicken did not get crispy.. what did i do wrong? did i simply not fry it long enough? i tasted a piece and it seemed like it already started to get dry so i took it out… is about 350 fahrenheit too hot, too cold? any idea what the mistake might be, if the chicken does not get crispy? I’m so glad you love the recipe. To help for next time, heat the oil to 350-375 degrees. Once the chicken is added, keep the oil heated to 300-325 degrees. Also, try moving your pieces around the in pan. It helps to keep things moving so they fry rapidly and evenly. Hope this helps! Obsessed with this recipe. I’ve made it twice in the last 3 days. Perfect! You’ll want to make sure the pan has from 1/2 inch to an inch of oil to fry the chicken. Hope this helps! Just wondering how much oil to use to fry the chicken?? You’ll want to make sure you pan has around 1/2 inch to an inch of oil to fry. 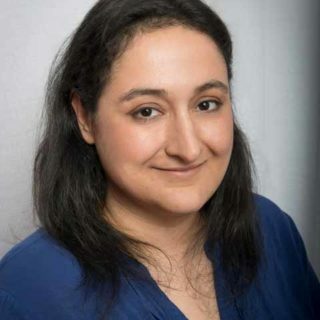 I absolutely love your recipes! You nailed the copycat ones & all Chinese ones are incredible! Question- can I use cubed chicken breasts rather than chicken thighs for this recipe? Happy New Year!!!? I’m so glad you’re loving the recipes. You can use cubed chicken breasts but it will change the flavor a bit. They have a lesser fat content than thighs so if you’re ok with that difference, go ahead and use it. Our family enjoyed it but I could taste a little too much of the vinegar in it. Might try less next time. Great tasting. Easy to make. Next time I will reduce the rice vinegar to 1 tablespoon. Seamed a little bitter. I will also put sauce ingredients in a sauce pan and heat up first. That way I can adjust the taste for sweetness. Will definitely make again. Thanks for the 5 stars, Cathy! So glad you enjoyed it! I absolutely love this recipe!!! My boyfriend asks me to make this all the time. The only thing I changed was I use 1 tablespoon of rice vinegar because the smell and taste is too strong for me. 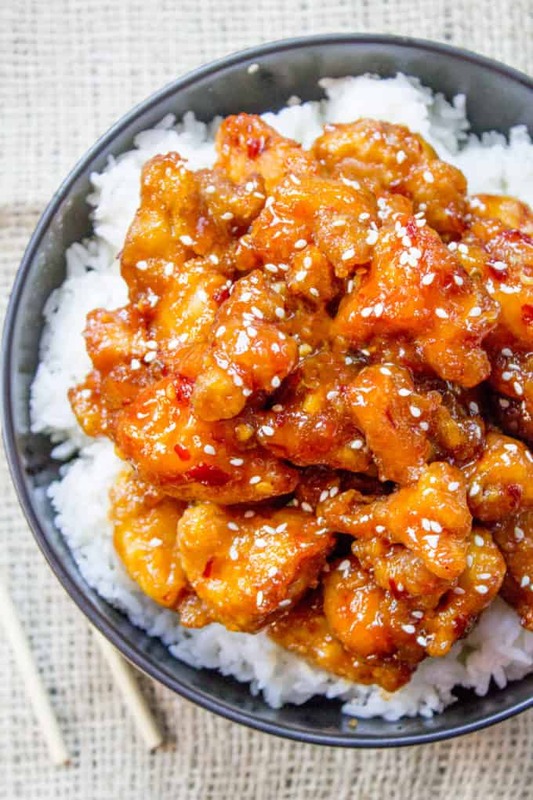 Overall I love using this recipe when I need to make General Tso’s Chicken. Thank you for the recipe! !